Our one to one tuition is tailored to meet your individual needs. We welcome the nervous and more mature pupils. 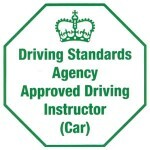 We offer a practical mock test at no extra charge. We offer evening and weekend lessons at no extra charge.